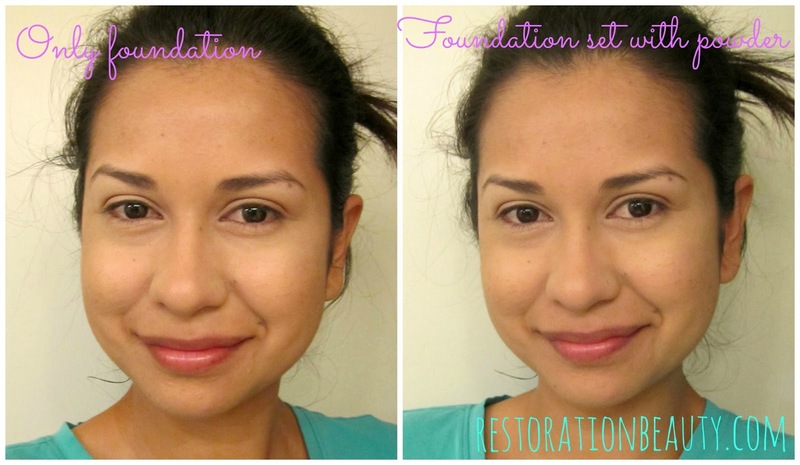 I have been obsessed with foundations lately! I get into these obsessions ever so often and have to research and try products like a makeup mad woman! 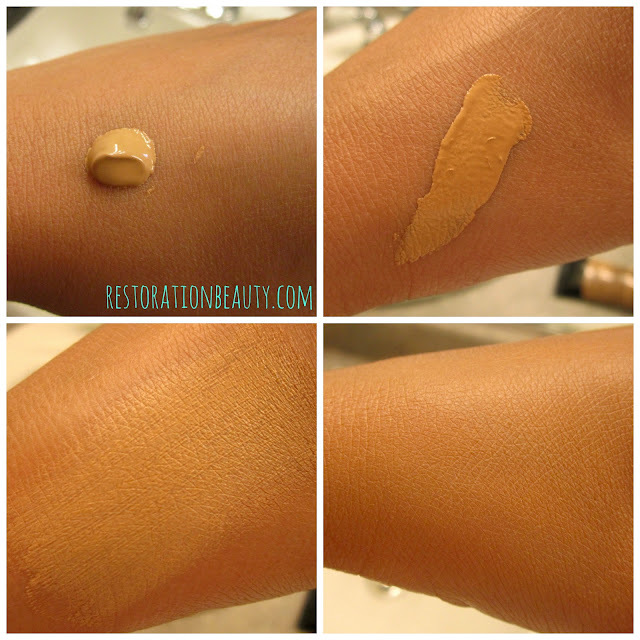 I had heard and read many great things about the new (well kind of new, I think it came out last year) Wet n' Wild Coverall Cream Foundation, so I naturally had to try it to see for myself what all the rave was about. And since it was only $4 it wouldn't have been such a terrible thing if it didn't work out...but it did! This foundation comes in a plastic squeeze out bottle and you get 1 oz of product which is pretty standard. - All day wear: No, not without at least one touch-up (But what makeup is?). It looked flawless for about 6 hours and then my oils started to seep through. But after 9 hours of wear and finally touching up it looked good as new. - Medium-to-full coverage: YES! I absolutely love the coverage this foundation provides! It's very buildable even though it dries pretty quickly on your skin. - VisiBright complex reduces the appearance of wrinkles and rejuvenates skin: I don't have any wrinkles so I can't say anything about that. It does however seem to bring a subtle natural glow to the complexion. Now you get to see how I put this foundation to the test! My skin type, by the way, is combination/oily. This is what the foundation looks like. It really is a cream foundation since it's not at all runny. It also blends in like a dream! I don't find myself having to buff it too much into my skin. I totally forgot to take a before picture but here is the difference of just the foundation on my skin and how it looks topped off with a little setting powder (I used Maybelline Dream Matte). As you can see the foundation does have a semi-matte (satiny) finish. If I had normal to dry skin I wouldn't even set it with powder. I do love the natural subtle glow it lends without the powder which I'm sure is the VisiBright complex working it's magic. Okay, so makeup is all done and it's 8:30 a.m..this is what it looks like freshly applied. Another 3 hours went by (I did some spray painting outside and was in direct sunlight for around 30 minutes) and this is where I would say my oils started to show through the foundation. But I don't think that's too bad considering it had been a good 6 hours since application and a very hot day. And at 5:30 (9 hours from application) my face was obviously in need of some touching up but I still didn't think it was too bad at all! My conclusion: I love it! For the price, this is a very good foundation! I love the way it looks freshly applied much more than my Revlon Colorstay Whipped Foundation. Even though it's a semi-matte finish, so long you don't apply too much powder, it doesn't end up looking cakey. 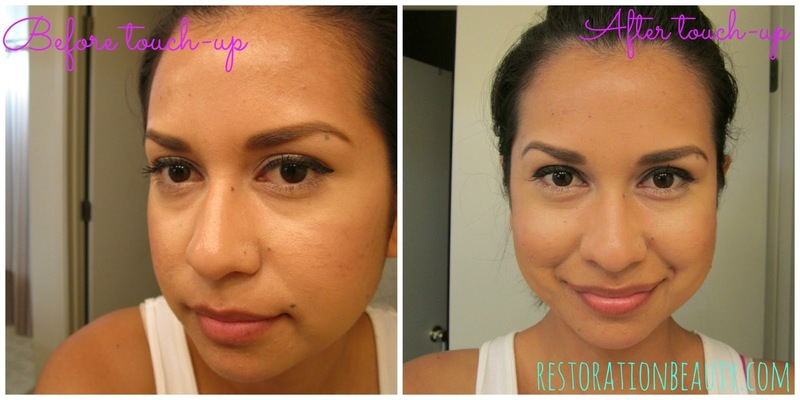 What is your favorite drugstore foundation?